Sydney, Mar 6, 2018 AEST (ABN Newswire) - Lake Resources Ltd ( ASX:LKE) Managing Director Steve Promnitz is interviewed by Tim Mckinnon of ABN Newswire regarding the recent agreement with the Jujuy Province and the company's lithium projects in Argentina. 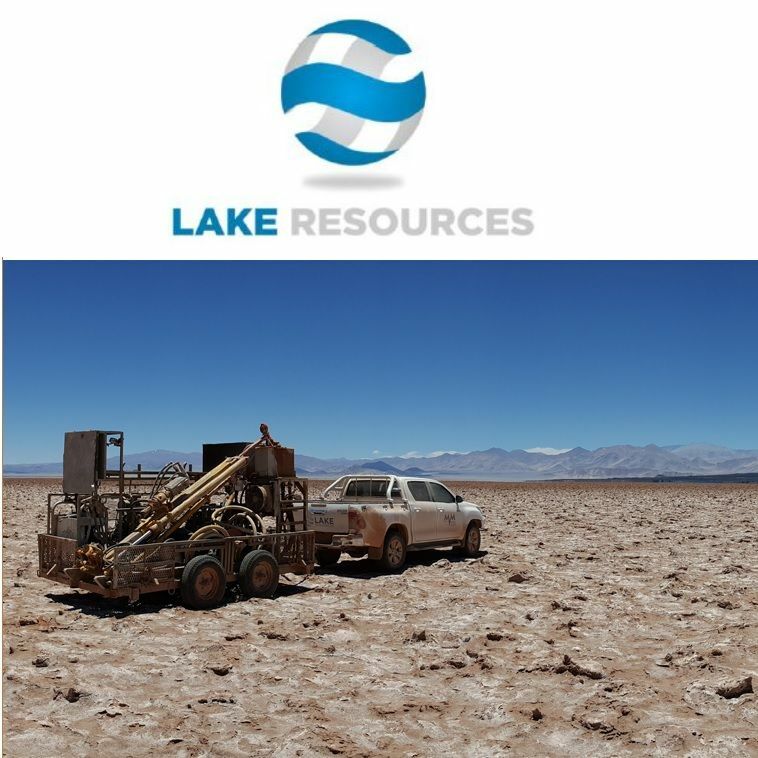 The agreement with Jujuy confirms tenure of Lake's ~45,000 hectares of mining leases which covers Lake's Olaroz - Cauchari Lithium Brine Project and Paso Lithium Brine Project in Argentina. - Leases adjoin lithium brine production and development projects in Jujuy, Argentina. - The Olaroz-Cauchari Lithium Brine Project and Paso Project are 100% owned by Lake. 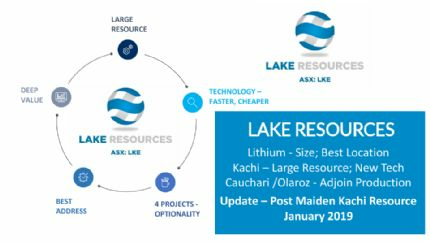 - Agreement signed with Lake's subsidiaries confirms tenure and the granting of Lake's leases in the world's prime lithium brine location. - Activity has been stalled for two years pending approvals - now effectively resolved with this agreement. - Leases were pegged prior to the recent rush for projects in the lithium sector in the same basin as Orocobre and SQM/Lithium Americas. 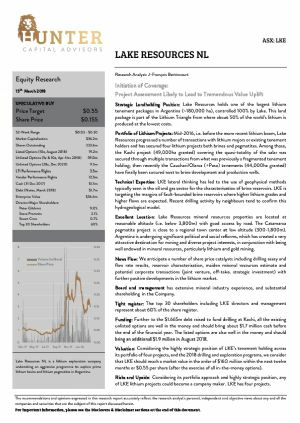 Drilling is commencing at Cauchari with results expected in the short term.